Fancy a relaxed retreat with lots of refreshing moments? You’ll definitely love our Breathtaking Hong Kong. 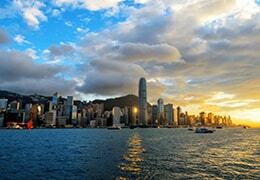 Hong Kong is a glitzy and vibrant cultural hub with plenty of things to see and experience. From admiring the astonishing city skyline at Sky100 Hong Kong Observation Deck to enjoying the distinguished Symphony of Lights cruise, your six-day getaway has lined up for you the best-ever Hong Kong experiences. A day trip to Lantau Island gives an ideal start to your vacation, allowing you to venture beyond the glamorous sights and energetic vibe of Hong Kong. Marvel at the island’s pristine natural beauty as you enjoy an exciting cable car ride and then climb 250 plus steps that leads you to the iconic Tian Tan Buddha, before exploring the venerated Po Lin Monastery. 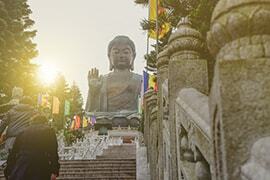 A trip to the charming settlement of Tai O will round out this revitalizing day tour. 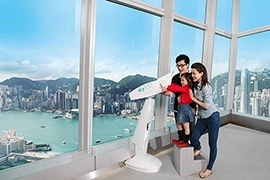 With admission tickets to Sky100 Hong Kong Observation Deck included, get ready to immerse in 360-degree vistas of Hong Kong. Your Sky100 tour begins with a swift elevator ride which whizzes you to the 100th level of ICC (International Commerce Centre) in under a minute; the viewing platform here is sure to take your breath away, with the most astonishing views in the backdrop. Another unrivaled experience to look forward to is an alluring 90-minute cruise. This lets you spectacle one of the world’s light and music shows, Symphony of Lights, from a different perspective. 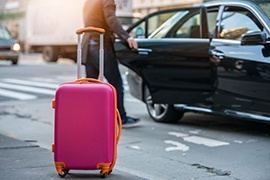 Striking a perfect balance between guided excursions and independent activities, your five night holiday will give you ample time to indulge in your favorite experiences, such as shopping, dining, and sightseeing on your own. 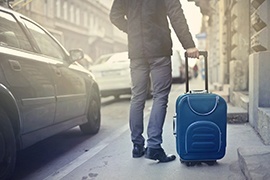 We had the most amazing holiday in Hong Kong with this tour package. We would like to thank Rayna Tours for their amazing services. We look forward to have some more great holidays with Rayna! Really a great experience at Hong Kong!! I took this holiday with my teenage daughter after her board exams, as a gift for all the hard work she had done during the year. We had the most relaxing time in Hong Kong. The hotel we stayed at was luxurious and so was the food. We had an amazing time sightseeing, eating and shopping! But it was the Lantau Island tour that we loved the best. The island is really gorgeous!